VA is one of the best loan programs available in Osceola County, primarily because of a Veterans ability to purchase a home with no down payment. But what many Osceola County Veterans don’t realize is that VA also allows for cash out refinance up to 100% Loan to value. Note: VA 100 percent LTV cash out now available to homeowners in all states expect Texas. 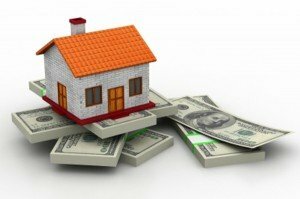 There are three basic VA refinance scenarios available in Osceola County. First, there is the IRRRL or Interest Rate Reduction Refinance Loan. This refinance is specifically for those who already have a VA loan and are just looking to lower their interest rate. This is a “rate and term” refinance, meaning no cash is going back to the borrower. This is a great program because there is no appraisal and streamline qualifying. The second type of VA refinance is someone who has a non-VA loan and is looking to refinance into a VA loan. This has been popular for those who wanted to refinance out of either an FHA loan or a Conventional loan with mortgage insurance. VA does not have monthly mortgage insurance (PMI) and allows refinancing to 100% LTV. The third type of refinance is where the Veteran wants to pull some equity from their home. They may or may not already have a VA loan. With interest rates super low and home values going up around Kissimmee, many Veterans are taking advantage and pulling cash out for making those home improvements they have wanted to make. Other reasons for pulling cash out include debt consolidation (credit cards) education costs, investments, etc. Many Florida VA lenders have their own “overlay” on top of the published VA loan guidelines, and as a result, many lenders put a cap on the loan to value for cash out at 90% of the home’s value. But there are a few VA lenders offering cash out refinancing to 100% loan to value. Now just because you have equity it doesn’t mean a VA cash out refinance is the right thing to do. Unlike the VA Interest Rate Reduction Refinance Loan, which comes with a low VA Funding Fee equal to .5%, a VA cash out refinance comes with a full 2.15% Funding Fee for first-time use, or 3.3% Funding Fee for any subsequent use of eligibility. 3.3% is a big amount that is tacked onto the back end of the loan, so it’s important to have the VA mortgage specialist working with you prepare a breakdown of the new loan amount, including the funding Fee, payment including taxes and insurance, closing costs and prepaid expenses, and an estimate of the amount of “cash” going to the vet after the closing of the refinance. For those Veterans who qualify for the Funding Fee waiver, a cash out refinance can look a lot more attractive. Note: Texas properties are not eligible for 100% cash out. Questions? Please call us at Ph: 800-691-8826 or just submit the quick Info Request Form on this page and a VA loan specialist will contact you. We will be happy to review your situation with you and prepare a detailed cost breakdown.